Preview April 15 from 9am - 12pm & 1pm - 3pm. Removal 4/17 - 4/24, Monday - Friday from 9am to 12pm and 1pm to 3pm within 4 business days after the auction closes. 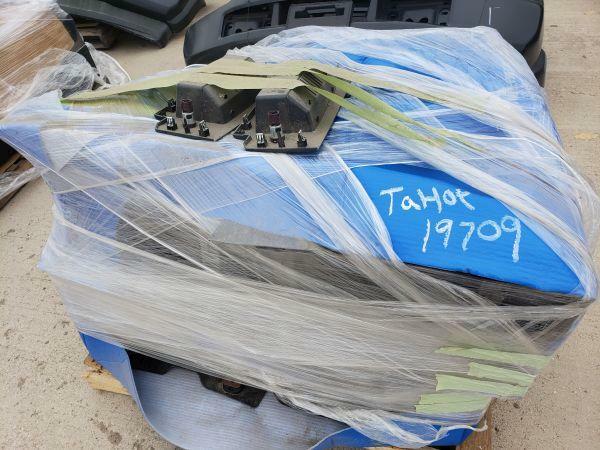 Pallet of Center Consoles, Marked as being from Chevy Tahoe. Unknown Condition. 4/17 - 4/24, Monday - Friday from 9am to 12pm and 1pm to 3pm within 4 business days after the auction closes. Please contact Shomari at Shomari.Williams@fortworthtexas.gov with removal questions. If items are not removed by 4 business days of auction close, the buyer forfeits monies paid and the property reverts to the City of Fort Worth with no recourse. There will be NO ASSISTANCE or PACKING / SHIPPING SERVICES available from City employees for removal and transportation of items won. REMOVAL IS THE WINNING BIDDER'S RESPONSIBILITY. If items are not removed within 4 business days of auction closed as stated above, items will be added to the next auction. Furthermore, the buyer shall not be allowed to register or participate in any future auctions conducted by Lone Star Auctioneers, Inc. (Live, WebCast or 24/7 Online). No Exceptions! Please present a copy of your paid receipt and a valid Government issued picture ID when picking up all items. Written authorization must be provided to the seller allowing a person other than the buyer named on the paid receipt to pick up items.